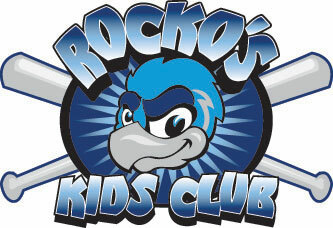 March 10, 2009 - LOVES PARK, Ill. – Armchair basketball experts can win a sliver of glory and something even better – Rockford RiverHawks tickets and apparel – in the second annual RiverHawks/WQRF-Fox 39 Brackets and Baseball Challenge. Filling out a bracket for basketball tournaments is a March tradition. Fans are invited to visit the team’s website, www.RockfordRiverHawks.com, and click on the link to the RiverHawks’ group – 46281 – in the Tourney Pick’Em page at Yahoo Fantasy Sports. Participating prognosticators will fill out their picks for all games in this year’s tournament. They’ll then face each other, WQRF sports director Scott Lebber and sports reporter Adam Warner and members of the RiverHawks front office to see who made the best picks. The contest is free and is open to fans 18 and older. The fan with the most accurate picks will receive four passes to the Frontier League All-Star Game, scheduled for 7:05 p.m. July 15 at Road Ranger Stadium, a ceremonial first pitch at a selected game and a $20 gift card redeemable at Road Ranger Stadium ($120 total value). The runner-up will receive four passes to the RiverHawks’ new all-you-can eat Diamond Deck ($100 total value). Third through fifth place each receive a $20 gift card. Fans can register online anytime through 11 a.m. Thursday, March 19. Picks can be made from Sunday afternoon until the tournament begins Thursday morning. All competitors will receive a buy one, get one coupon for single-game tickets to a 2009 regular-season game. All competitors will also be entered into a contest to win two free 10-game mini-season plans. In order to qualify for prizes, participants must choose the “show email” option when entering the contest.